Few things are held as absolutes among the Zelda fanbase. Ask any number of fans which game in the series is their favorite and you get many different answers: Ocarina of Time, A Link to the Past, Wind Waker and the original all have their fans. But if you were to ask the fans’ opinion on Skyward Sword, they will explode. Some will say it is the worst thing in the series since the CD-i games, some will tell you that while it was misguided at certain points it was an enjoyable experience in the end, while others will say that they really liked the game and maybe even hold it as their favorite. (and promptly get mobbed by the detractors). Yet other people will tell you that all games had their good and bad parts, and things done well in one game are done worse in the next. 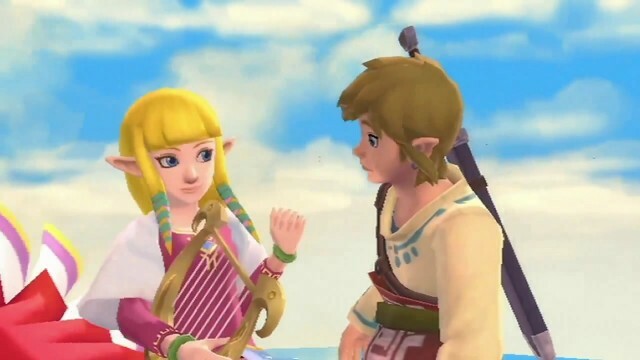 The same goes for Skyward Sword: it gave up the exploration of Twilight Princess and especially Wind Waker in favor of a focus on the game’s story and characters. Was this a good thing or a bad thing? PeanutButterGamer thinks so, and in his last video of Zelda Month he teams up with fellow YouTube person Yungtown to take a look at Skyward Sword‘s story and the growth of the characters in it. Watch the video after the break! Do you agree with PBG’s and Yungtown’s opinions on Zelda, Link, Fi and Groose? Should more of the series’ games focus on the cast like Skyward Sword did? Or should it be handled differently? Please share your thoughts in the comments below!